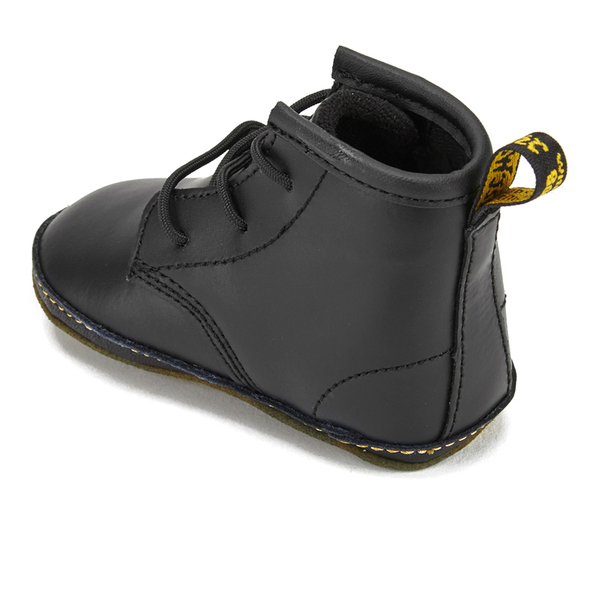 Black ‘Auburn’ lamper leather baby booties based on the iconic 1460 8-eye boot from Dr. Martens. 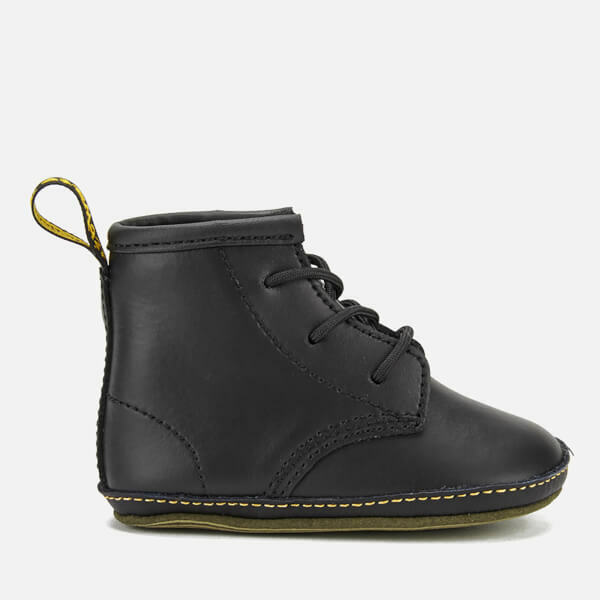 The three-eyelet lace fastening booties feature a soft sole with the famous Dr. Martens sole pattern on the base and contrast yellow stitched detail. 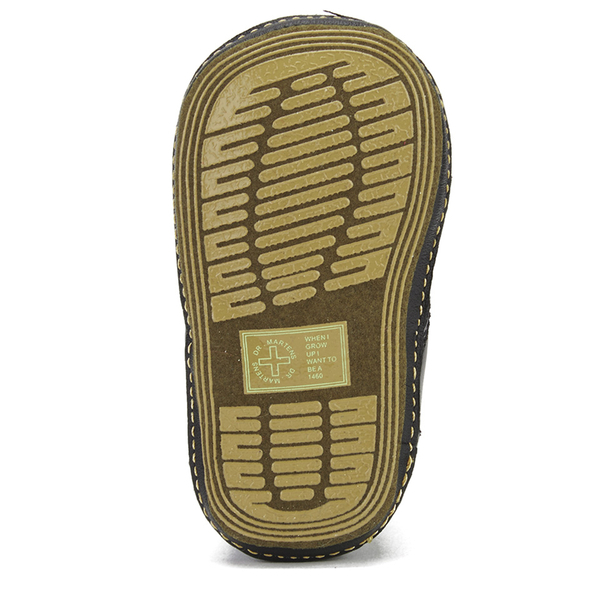 Complete with a cushioned insole for comfort, an ‘Air Wair’ woven brand tab to the heel and a ‘When I Grow Up I Want To Be A 1460’ message on the base.